The view of distant winding roads weaving a path through fertile land is breath-taking, the midday sun insistently makes its presence felt through protective clothing and cream, but it is the hot chicken Piri-Piri cooking over an open-air charcoal grill and scenting the air with its spicy aroma that leaves the strongest after-taste of Portugal's most famous holiday area: the Algarve. Stretching along the southern coast of this friendly country, the Algarve is skirted by the Atlantic Ocean on the south and west and protected from strong winds by the mountains to the north. However, a pleasant breeze at the coast means the heat is less uncomfortable than in most Mediterranean areas, even in the height of summer. 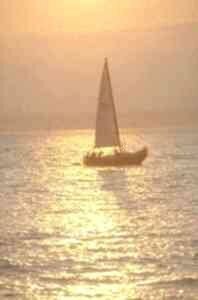 It is a good year round destination, although the warmest months are generally June to September. 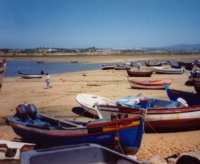 The area is justly famous for its golf and offers a veritable paradise of courses, from the basic to the luxurious, but the western end of the Algarve is also an area of unspoiled beauty and charm that rewards any visitor who ventures further than the more touristy resorts, like Albufeira, near Faro airport. Travel west along the major motorway from the airport and discover the small fishing villages and pretty towns along the coast. 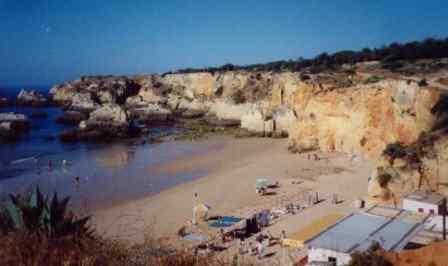 Based at apartments at Jardim DoVau, between Praia da Rocha and Alvor, it was one of the last family holidays my husband and I had with our two teenage children, before university life intervened. We quickly fell in love with the charming little fishing village of Alvor, which is typical of the area with its narrow streets, friendly restaurants and harbour-side cafés that come alive in the balmy evenings. Praia da Rocha, on the other hand, has one of the best beaches in Portugal but is becoming too busy and over developed so we gave it a miss after the first visit. 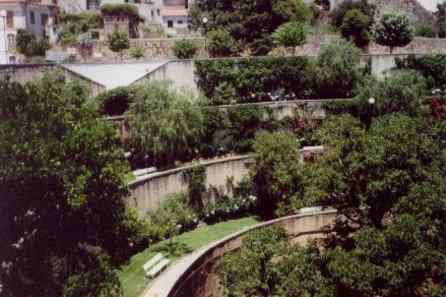 From Alvor, there is a wonderful drive up into the hills to reach Caldas de Monchique, an Edwardian spa town set 820 feet above sea level, with a tree-lined square and good cafés and restaurants. This was where we enjoyed the best chicken Piri-Piri ever at a table in the open-air overlooking miles of steep terraced gardens that seemed to blend into the unfolding countryside. Back on the coast, just a few miles west of Alvor, is the lovely tourist town of Lagos (pronounced 'Lahgoosh'), one of the earliest settlements on the coast where Prince Henry (the Navigator) built his ships many centuries ago. Although this is the busiest town of that area it still has a friendliness and charm enhanced by the many cafés, restaurants, banks and shops. The cobbled streets often play host to street performers, while just across the main road there is a wide promenade for long leisurely walks, a mediocre beach offering a range of water sports and a Marina. This is the departure point for the many boat trips waiting to take visitors to the grottoes at Ponta de Piedade: good for watching seabirds. Even further along the coast is Sagres, with its fort and cultural heritage, where Prince Henry once lived and where Christopher Columbus learned his sea skills. Standing on the point it is easy to imagine the Portuguese navigators who set off from here on their voyages of discovery. The Algarve is relatively inexpensive and its people are friendly, independent and proud of their seafaring past; there is a long history of friendship between the British Isles and Portugal, reaching back six hundred years. English is usually spoken in all restaurants and, as the Portuguese are very family oriented, the cafés and restaurants are always child friendly. With most seating in the open-air, it is a relaxing and casual holiday destination. As well as chicken, beef, pork and lamb, one of the best choices for meals is the huge range of freshly caught fish and seafood. Sardines is a popular any-time snack found all along the coast, brushed with brine for a crisp and salty coating then cooked on the open-air charcoal grill. 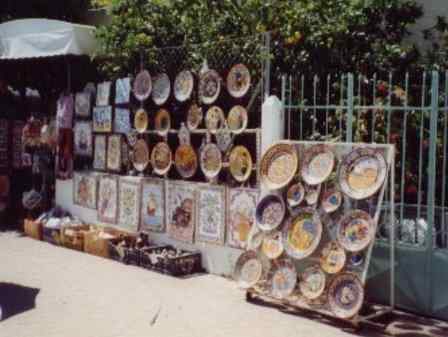 For those in search of more tangible memories of the Algarve, the pottery is exquisite and plentiful; even the most reluctant shopper is usually captivated by the row upon row of brightly painted coloured terracotta bowls, pastel shaded cups and jugs and pottery of every shape, pattern and persuasion. 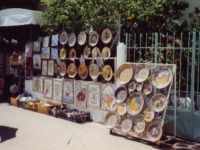 Most small towns and villages of the Algarve have plenty of local crafts to buy, including hand-made lace, matgrass baskets and ceramics, and it is well worth taking home some fruit bowls or jugs as they are hard-wearing as well as pretty and useful. Another special feature of the area is the extensive use of decorative tiles on the outside of houses and buildings; these are called 'Azulejos': an art form that survives from the 15th century. The whole area is greatly influenced by Moorish designs, a throw-back to the 8th century when the Moors invaded the province; the name Algarve actually comes from the name 'El Gharb', meaning 'west', as it was the most westerly outpost of the Arab Empire. The Algarve appeals to all tastes, offering golf, water sports, tranquil fishing villages with painted boats, sunbathing on sandy beaches and sheltered bays. Above all, its relaxing and friendly ambience makes it an ideal holiday destination and I guarantee that the spicy aroma and taste of freshly cooked piri-piri chicken will mingle with the memories long after the return home. If you enjoyed reading the above article then you will probably also enjoy Dominica by Rosemary Gemmell, and Altai Republic in Russia, also in Europe, and our latest articles covering the Orinoco Delta, La Mata, Marbella and Beijing.